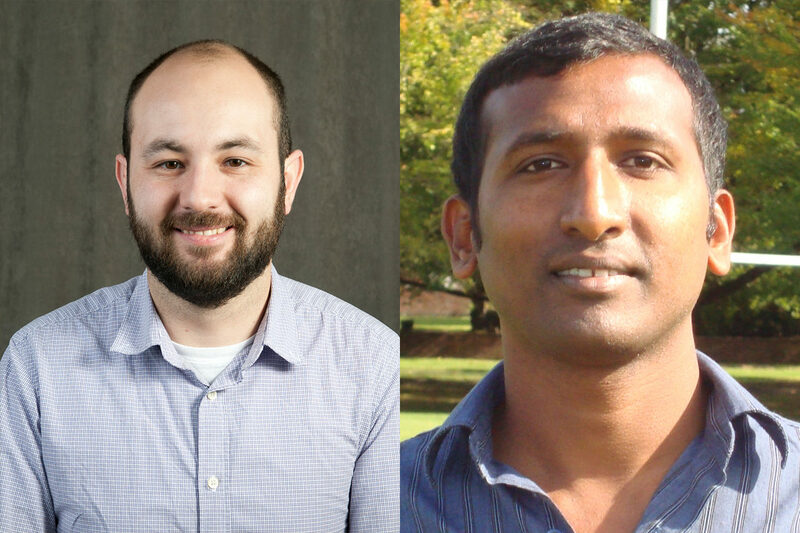 Arda Gozen and Janardhan Rao (Jana) Doppa have been named as the George and Joan Berry Professors in Engineering in the Voiland College of Engineering and Architecture. Gozen is an assistant professor in the School of Mechanical and Materials Engineering and Doppa is assistant professor in the School of Electrical Engineering and Computer Science. Gozen, who joined WSU in 2014, conducts research in biomaterials, advanced manufacturing and 3D printing. His research interests include manufacturingprocesses and equipment; micro additive manufacturing with polymer composites and metals; soft and wearable devices; and bio-printing. He has recently developed a 3D‑printed glucose biosensor for use in wearable monitors. The work could lead to improved glucose monitors for people who suffer from diabetes. He holds a Ph.D. from Carnegie Mellon University and a B.S. from Middle East Technical University in Ankara, Turkey. With WSU since 2014, Doppa conducts research on machine learning with a special focus on data-driven science and engineering. His current research includes machine learning for design automation with applications to hardware design optimization and materials design. He has developed machine-learning algorithms to design high performance, low power, and reliable computing systems for Big Data applications. In 2018, he received the Voiland College Reid Miller Excellence in Teaching Award. He holds a PhD from Oregon State University and a M.Tech. from the Indian Institute of Technology, Kanpur. George (ME, ‘73) and Joan (History, ’72) Berry have provided longtime support for faculty excellence in the areas where they received their educations, specifically in the Voiland College of Engineering and Architecture, liberal arts, and education. George Berry founded an architectural and engineering design firm and then became involved in real estate development. Through their gifts, they are working to assure that future students will have similar valuable learning experiences that they had and access to the highest quality educators.